The New York Giants have secured one of their best young players for the future. 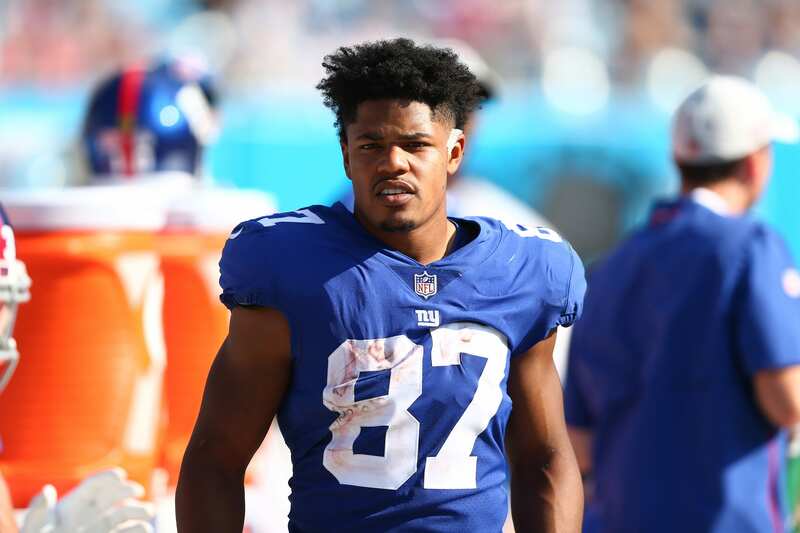 Wide receiver Sterling Shepard has signed a 4 year, $41 million extension with the Giants. The deal features $21.3 million in guaranteed money. Sterling Shepard was drafted by the Giants in the 2nd round of the 2016 NFL Draft. He has been a dependable slot receiver for the Giants. In 2018, Shepard played all 16 games and totaled 872 receiving yards and 4 receiving touchdowns on 66 catches. The Giants are committing to Shepard as their primary receiver for the next 4 years. Over the past 3 seasons, Shepard has had multiple games where he played as the primary receiver, filling in for Odell Beckham Jr. whenever he was injured. Sterling proved he can play outside, as well as his usual slot position. This signing solidifies the Giants’ receiving corps for the next 4 years. Last month, the Giants signed veteran receiver Golden Tate to a 4-year deal. Shepard and Tate will lead the Giants’ receiving attack for the foreseeable future. The Giants’ offense looks to be deadly in 2019. Shepard and Tate will make a fearsome receiving duo, but the offense’s main superstar, Saquon Barkley, will look to improve on his incredible 2018 rookie season. Shepard and Barkley are close friends, so Gettleman has definitely made his best player happy with today’s signing. Now that Dave Gettleman has decided to commit to some in-house talent, the question is, who is next? Will other young stars, such as Evan Engram, receive an extension too? The signing of Sterling Shepard gives Giants fans a reason to be even more excited for their future.